A newly released study shows armed French police, known as the Gendarmerie, support anti-mass migration candidate Marine Le Pen over her rivals in the French presidential race. 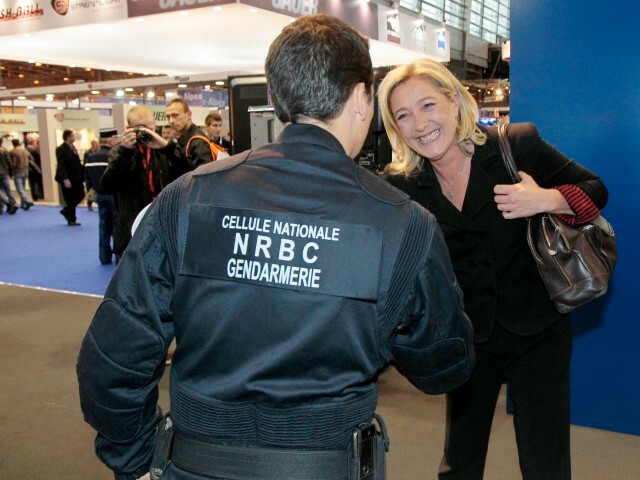 The report, carried out by the Ifop polling firm, shows that a majority (51 per cent) of the Gendarmerie support the Front National leader who has promised to restore order to France during her campaign. The Gendarmerie vote for Le Pen is double that of the regular French citizen, according to the most recent polling which sees Le Pen with between 21 to 23 per cent, L’Opinion reports. The polling firm surveyed 588 gendarmes from 31 March to 18 April and say they tried to balance the polling to reflect many different age categories, religious beliefs, and statuses within the force as well as balancing between male and female officers. Le Pen’s main rival Emmanuel Macron came a distant second with 16.5 per cent of the Gendarmerie vote. Conservative Republican candidate François Fillon polled at 14 per cent, with the remaining 18.5 per cent split between the other candidates. Support for Le Pen is especially strong in the branch known as the Mobile Gendarmerie who are on the front lines during riots such as the recent “Justice for Theo” protests that occurred in the notorious Paris suburb of Seine-Saint Germaine earlier this year. Among the Mobile Gendarmerie, some 65 per cent of regular frontline officers would vote for Le Pen, whilst the higher ranking officers are more likely to vote for Fillon. According to polling, the most important issue for the officers is the fight against terrorism and the security of France. Of respondents, 74 per cent said terrorism was their most important issue compared to 43 per cent of the general public. In 2012, Ifop conducted a similar study which showed 43 per cent of gendarmes supported Le Pen, showing an 8 per cent rise in support for the Front National leader who promised to stamp out the “poison” of radical Islamism in her final campaign rally earlier this week. 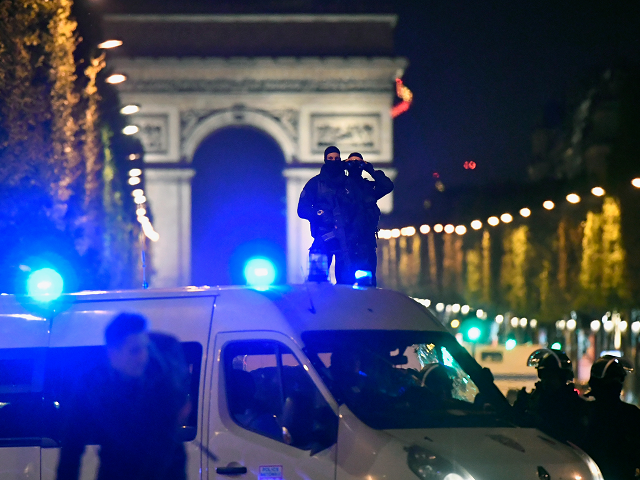 The study comes as a French police officer was murdered in central Paris, with authorities revealing the suspect in the case had previously been arrested for extremism. The police are just the latest bloc of voters to embrace Le Pen and her policies which include a potential referendum on French membership of the European Union. In recent weeks, working class voters in the French “rust belt” have also expressed support for Le Pen, and many members of the LGBT community say they will vote for her because of her policies on tackling radical Islam. 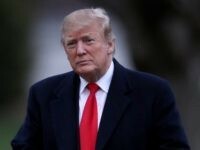 Le Pen is favoured to win or come second in the first round of voting Sunday where she could face off against favourite En Marche candidate Macron or possibly even far-left candidate Jean-Luc Mélenchon who has skyrocketed in the polls in recent weeks.